When Alvimar da Silva realized Uber did not reach some of the more dangerous, far-flung areas of Brazil’s biggest city Sao Paulo, he saw an opportunity: if the popular ride-sharing service did not go there, he would. Uber and other ride-sharing apps “started to veto the neighborhoods considered risky and difficult to access. But as we are already here, we don’t have any trouble,” says da Silva as he drives down the street where he was born 50 years ago, tooting his horn to greet residents. Despite making 3,000 trips a month and taking 15 percent commission on each journey, JaUbra’s earnings are just enough to keep the family-run business afloat, says Landim, whose brother is also involved. 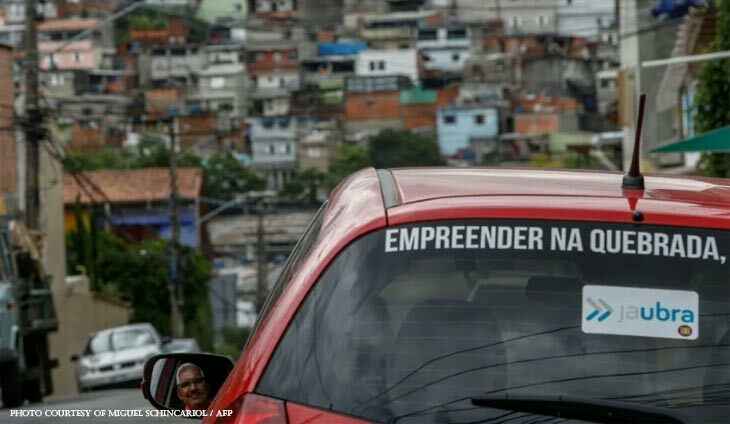 “When people see the (JaUbra) sticker they say ‘it’s from the neighborhood,’ and then nobody hassles you because they know you are meeting a need and they respect that,” says Cobertino, who used to drive for Uber and work in a bank. The US platform — which admits that it can block requests in certain areas and times of the day for security reasons — recently announced plans for a pilot program in Heliopolis, a favela in Sao Paulo’s south, with designated pick-up points to increase its presence on the city’s neglected outskirts.